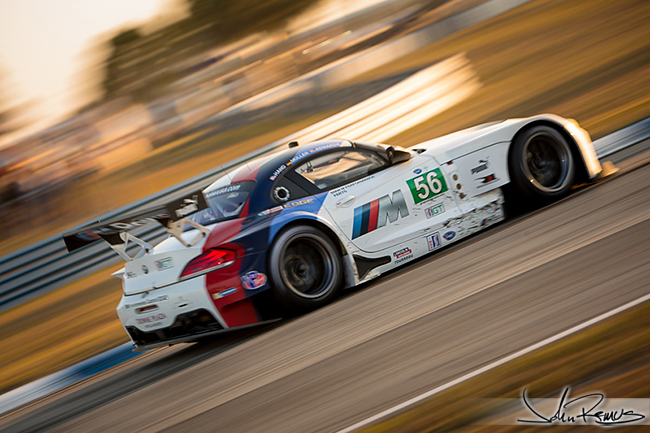 I’ve been putting off and putting off posting up photos from my experience at The 12 Hours of Sebring this year. Mostly because my photos were so screwed up that I simply didn’t (and still don’t) want to edit the majority of them… I’m guessing that many of you read my blog post titled: “My New, Damaged, Canon 1D-X. And Canon USA’s refusal to help” If not, click the link and you’ll immediately see why I haven’t edited much from that trip. And you read the whole thing it will be sure to piss you off at the lack of customer service I dealt with. However, now that we’re approaching the THIRD Le Mans race of the 2013 season, I wanted to share my images from Florida before people simply didn’t care anymore… if they don’t already. Haha! My original plan at Sebring was to freelance and attempt to sell my services to various teams at the race that weekend. But that hope was dashed as soon as it was clear my camera was damaged and all my photos would require serious editing. I did do a bit of work for John Edwards Racing though. So, my focus was the M-Power BMW you see up top. 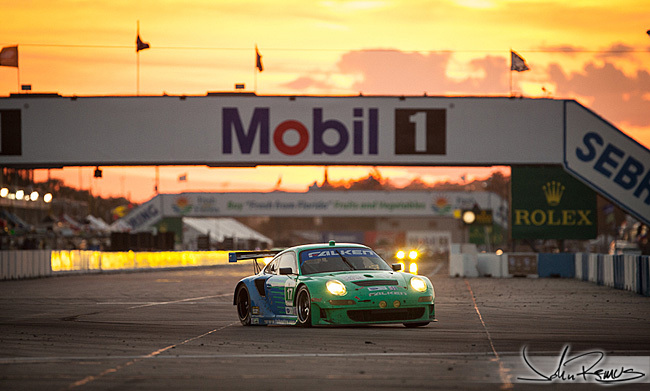 Go ahead and click the break for a large assortment of shots from Sebring. The majority will be dusk and night photos since those are the images I was able to edit quickly and without much editing because the damage to the sensor was not visible as wide-open apertures. I’m currently on my way to Atlanta for Formula Drift this weekend and not Monterey for Le Mans. So, this is very likely my only American Le Mans Series post of the year unfortunately. I love Florida. I used to live there… years ago. And I don’t get back nearly as much as I would like to. 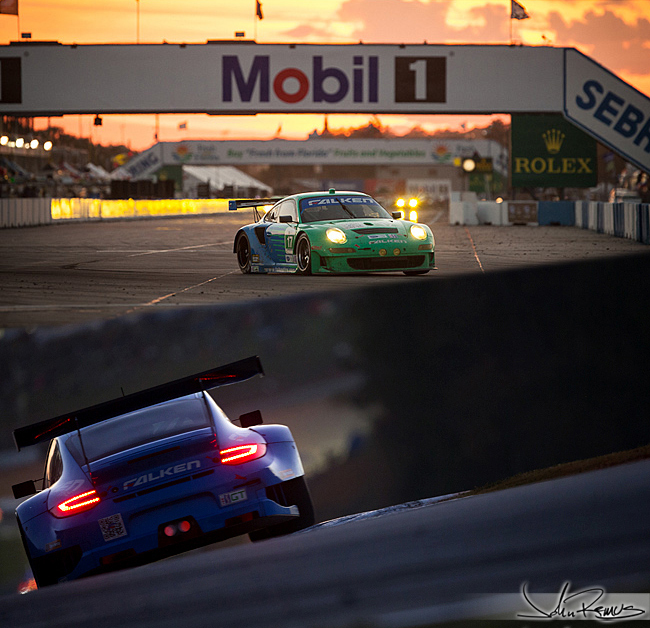 But last weekend I was back out in the Sunshine State for the 12 Hours of Sebring – the kickoff to the 2012 American Le Mans racing season. I was shooting for Falken Tire. It’s been a month since I’ve posted a new blog. I’m so incredibly behind on updates, and I feel terrible about it. I know there are quite a few people out there who do read my blogs and are genuinely interested in my stories. Over the last month, in addition to shooting more Supercross for Falken, I have also worked with several models on different shoots as well as a full shoot with the Budweiser Girls in Orange County. I should probably create blogs with those photos for everyone, too. But, anyway, I know thousands of people follow my work between Twitter and Facebook, and knew I was out in Sebring for a little race photography. Ok. Let’s be real. It was a LOT of race photography. 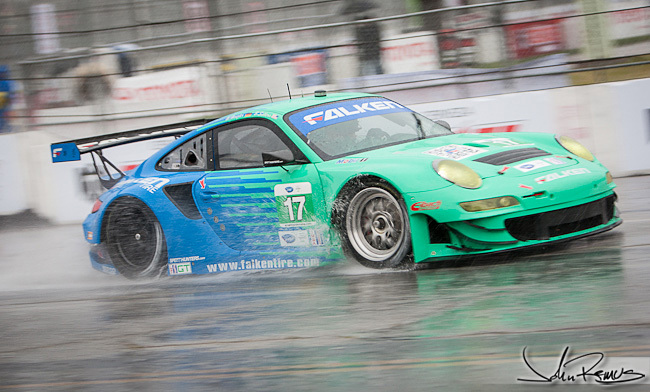 I was there to make sure that Falken had plenty of images from the race of their brand new 2012 Porsche on the track. I spent about four days with the Falken crew between traveling and shooting. I always enjoy the chances I have to work with their team. They’re amazing people. I was particularly interested in meeting their ALMS race team. 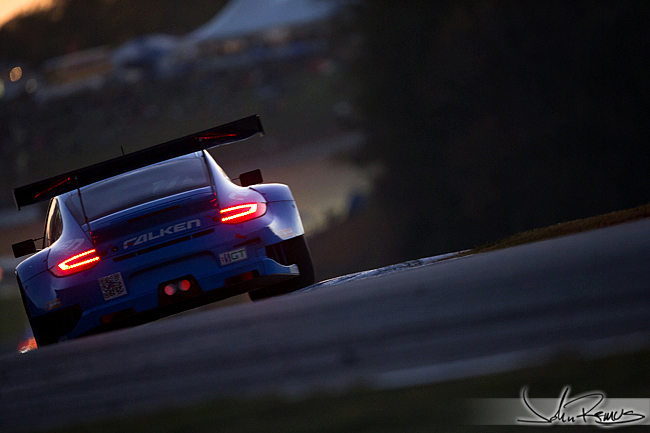 I had been in loose contact with someone who handles their @FalkenALMS twitter feed. Whoever it was was someone that was very interactive – a trait you RARELY see from industry people. Turned out it was their PR Rep, Kelly. She’s awesome if you ever meet her. I also got the chance to see two of their models again; Brittney and Melanie were both their to support the team this past weekend. I hadn’t had a chance to see Melanie since our shoot in Malibu several months ago – and this was the first opportunity I would have to get her to sign my poster. Haha! Brittney and I saw each other at Supercross. So now, after this trip, I have my poster complete! Silly things like getting signatures from models on pieces of my work mean a lot to me. Most of my weekend was spent on foot though. I was walking around the track numerous times trying to get an idea of the corners and locations. I had never been to Sebring so I wasn’t familiar with the layout. The downside to all the walking was the 30+ pounds of gear I was carrying. On the one hand I could have left most of it in the rig at the paddocks. On the other hand I was out at two or three hours at a time and rather have all my stuff with me so I wouldn’t have to keep leaving the track. I had an amazing time out at Sebring. I took a bit of video, too. I was hoping to do some behind the scenes type clips to show everyone what it’s like to see the race how I see it. However with all the gear I was already carrying it was too much to also try and get video and I didn’t come home with as many clips as I would have liked. I shot over 2,500 photos over the weekend. I threw out 500 or so yesterday. And from the remaining I made a selection of about 60 to share with you guys below. So, click past the break… check out my weekend at the races. Oh, and I promise I’ll get back on top of my blogs in the next week and have an update for you guys with other recent work of mine.